With 25 years of legal experience, Maryland and Washington DC estate planning lawyer Michelle Lanchester has advised and counseled thousands of clients throughout her career. 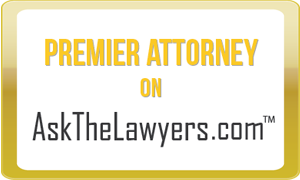 Attorney Lanchester has worked with a wide variety of clients from diverse backgrounds. She focuses her practice on guardianship and estate planning including wills, trusts, advance directives, financial power of attorney and letter of instructions. Attorney Lanchester received her Juris Doctor (J.D.) degree from the Howard University School of Law in Washington, D.C. in 1985 and graduated in the top twenty five (25) percent of her graduating class. She received her undergraduate degree from Vassar College, located in Poughkeepsie, New York in 1981. Her major was “Science, Technology and Society” and she minored in Urban Studies. Attorney Lanchester was admitted to practice law in the state of Maryland in 1986 and the District of Columbia in 1989. She is also admitted to practice in the United States District Courts for Maryland and the United States District Court for the District of Columbia. Attorney Lanchester regularly conducts estate planning seminars for the public on a variety of subjects, including how to prepare a will, trusts, durable financial power of attorney, advance directives, guardianships and conservatorship in both the District of Columbia and Maryland. She has also served as a National Legal Trainer for the AARP in the areas of guardianship, conservatorship, wills, trusts, advance directives and financial powers of attorney. What is a Trust? What is a Will? What is an Estate Plan? If you have questions about estate planning, contact estate planning attorney Michelle Lanchester at her law offices in Washington DC and Largo, Maryland. She will take the time to get to know you and your family and help you come up with an estate plan that is right for you. Do not wait until you face a crisis; be in control of your decisions and your life and contact Attorney Lanchester today.